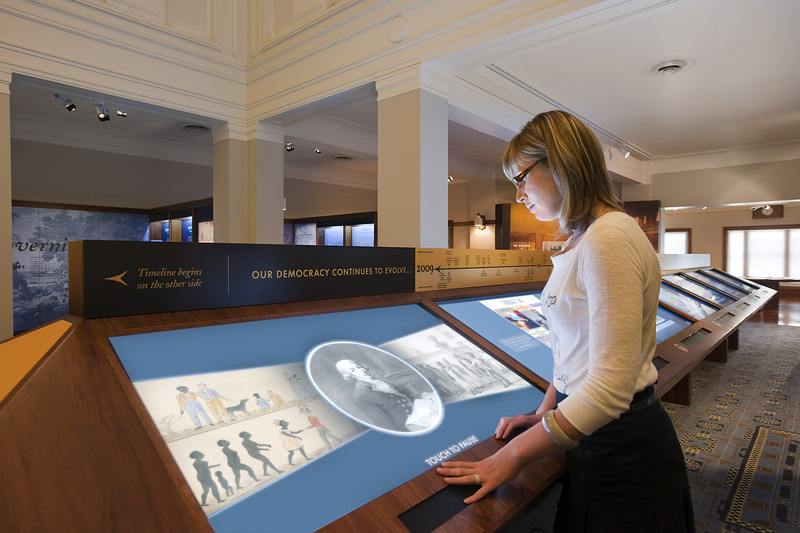 EDM was the prime contractor for the design/build of 3 permanent exhibitions at the Museum of Australian Democracy (MoAD) at Old Parliament House—a major Australian national institution that brings the journey of Australian democracy to life. Working within the redevelopment constraints of a national heritage building at MoAD, EDM developed a suite of 50 innovative digital interactives as well as coordinated a project team including curators, exhibition designers, technologists, digital media producers, graphic designers, computer programmers, fabricators and technicians. 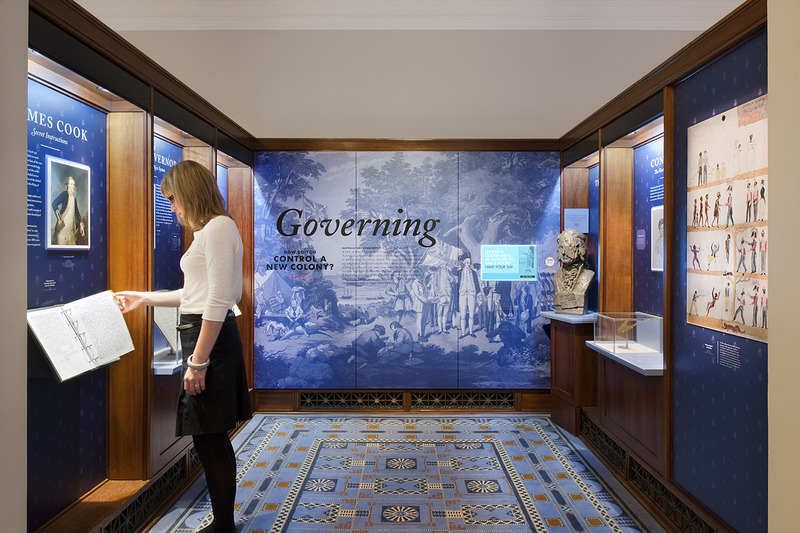 The MoAD interactive timeline is the visual ‘spine’ of the Australian Democracy gallery. Situated at the centre of the old Parliamentary Library, it is a major attraction of the overall exhibition. It is comprised of 14 touchscreens that collectively form a single, impressive digital canvas. 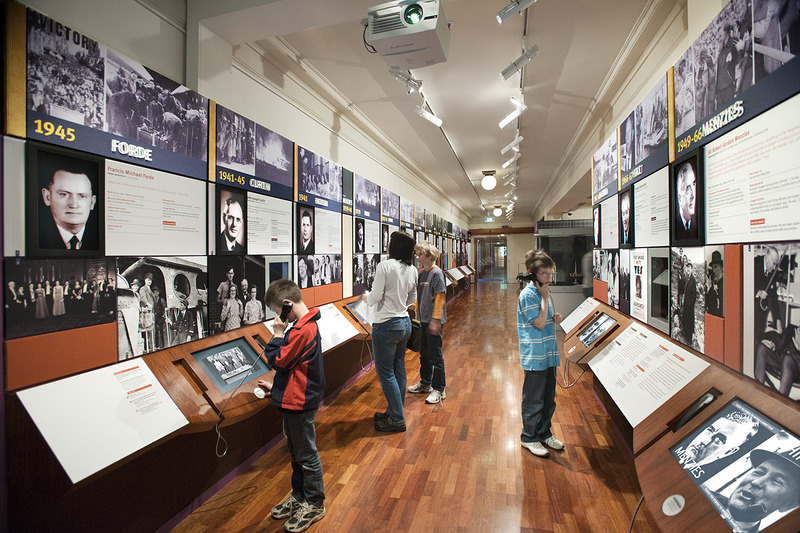 With more than 400 expandable milestones, the table’s content spans 200+ years of Australian democratic history. 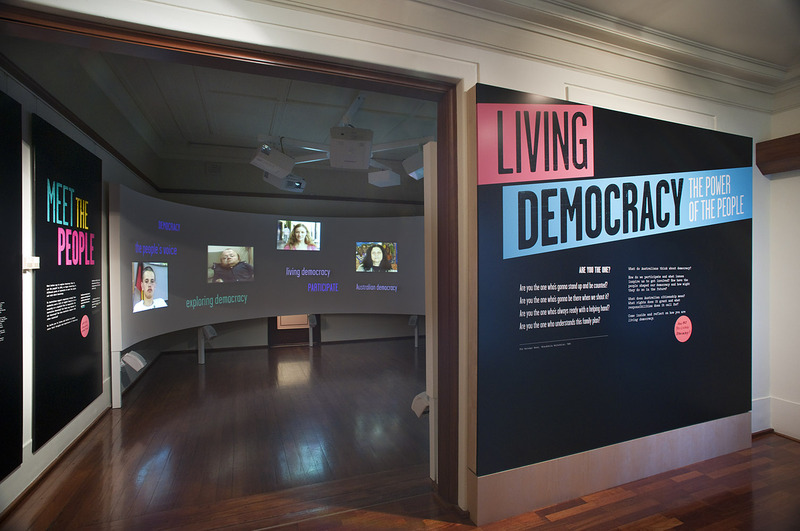 The Living Democracy gallery focuses on non-formal democracy: protest, lobbying petitioning, community groups. A centre-piece of this exhibition is Mosaic, a 270-degree cylindrical video wall. EDM worked with Old Parliament House to commission 5 Australian filmmakers to interview 100 people on the subject of democracy. The resulting 50 hours of footage was curated into a number of thematic shows using a custom video tagging application written by EDM specifically for the project. 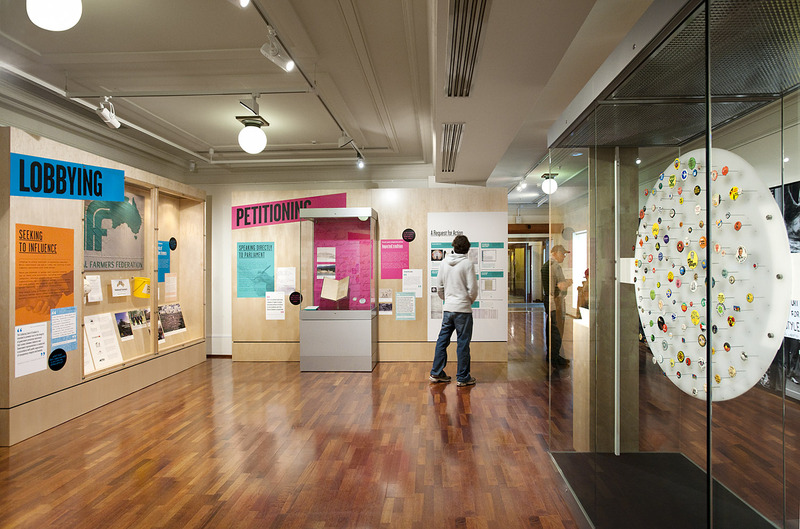 Bridging all 3 permanent exhibitions at MoAD is Trail, a smart-card based, touchscreen alternative to the traditional worksheet approach to museum learning. It is specially designed to get students looking, thinking, and talking about a museum’s stories, images, paintings and artifacts. With minimal instruction, students—working either individually or in small groups—embark on unique learning trails designed to engage them with a museum’s material culture. In 2015, Trail garnered a Silver Muse award and continues to serve educational programs to the over 75,000 school-aged visitors MoAD receives annually.